It’s important for any caterer to keep a stockpile unique and fresh display pieces. Stone displays from Cal-Mil are a great addition to your buffet building arsenal. Their elegant yet rustic look offers the perfect platform for featuring everything from appetizers to desserts. 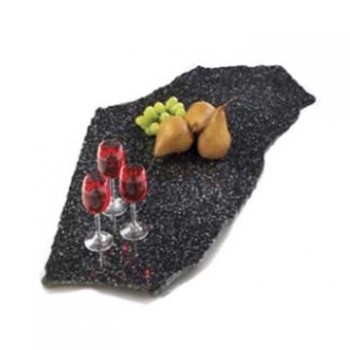 Cal Mil Stone Displays have a solid body and a natural shape and color. They are break, scratch, stain and fade resistant and dishwasher and food safe, In addition, they are easy to transport and clean.